Subtly designed with Sonoma oak, the Hamilton collection is an enchanting ensemble of furniture that provides both style and substance to essentially any room in the house. The Hamilton collection adheres to both traditionally rustic and somewhat contemporary styles. Each item from the Hamilton collection is solidly built yet still features modern touches, such as the metal handles. A modest collection, there are two Hamilton wardrobes, three different chest of drawers, a compact bedside table and even a wall mirror. 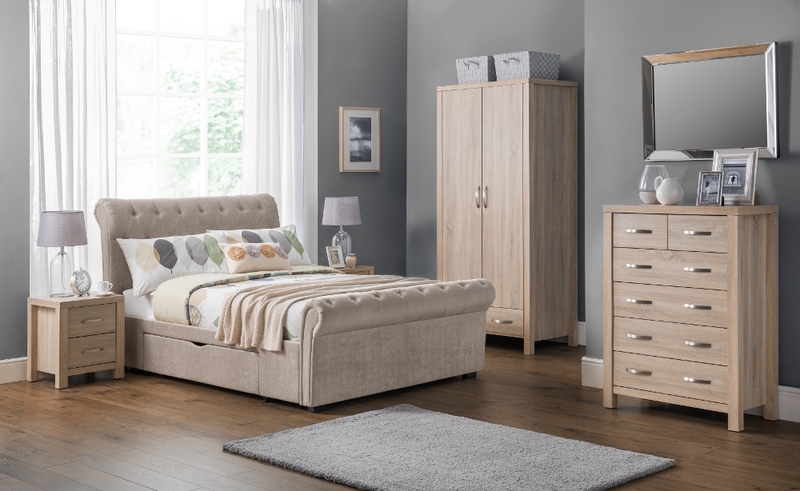 Thanks to the array of storage solutions within the Hamilton collection a combination of the furniture would serve as an excellent addition to a bedroom, guest room or even a living room. Most items from the Hamilton collection arrives flat packed, though thanks to the comprehensive instructions provided each item is easy to assemble.